Black Brodmann BU-132 Upright Piano: New upright Piano for sale: We buy and sell new and secondhand steinway pianos. Specialist steinway piano dealer, trader and wholesaler. Grands and Uprights in stock for sale.Besbrode Pianos Leeds Yorkshire England UK. 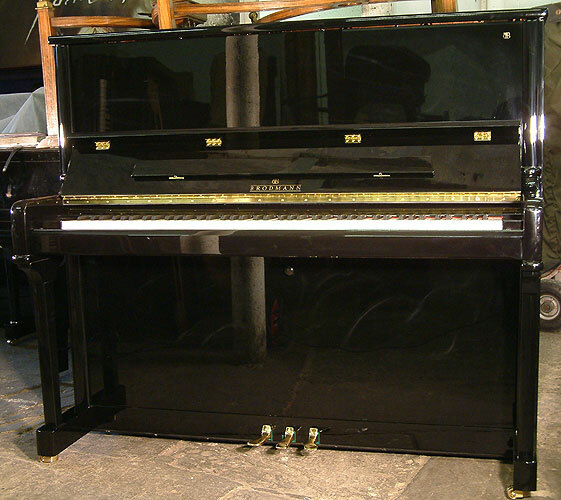 A new Brodmann BU-132 upright piano with a black case and polyester finish.